The market is down and the commodities are trading in red specially the bullion metals. The mcx gold and mcx silver are trading in red. Gold prices levels for today is 29427 and gold is trading in a loss of 0.78% and is advised to sell mcx gold for intraday session. The mcx silver is also down in its trend and is advised to sell silver also as the silver mcx prices for today is low and currently silver is showing 1.60 % loss in prices and the silver is currently trading at 52685 price levels. 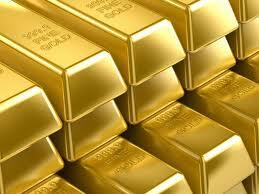 MCX gold is advised to Sell around Rs -29 500 and stoploss of 29620 with target of Rs 29300. MCX Silver is also advised to Sell around Rs 52300 and stoploss of 53800 and target of 52000.